The gorgeous Chesca of Fern & Moss agreed to take part in my series about Blogger Holy Grails. I love Chesca's blog because she has excellent taste in natural and organic skincare and is passionate about good ingredients. She recently took an amazing Californian Road Trip and you all know I'm a keen traveller so I loved reading about her holiday. Here is what Chesca has to say about her favourite products. I think I'm in love with this cleansing balm. I've never used a product that has made my skin so much better in such a short space of time as this has, and I can't use anything else. 100% organic and blended with a variety of beautiful oils, it draws dirt and impurities out of the skin, but whilst still retaining moisture and nourishing your skin to keep it plump and healthy. It includes calendula oil to sooth skin, grapefruit oil to refresh and frankincense to rejuvenate (as well as give it that beautiful scent). I have very breakout prone skin, but this has kept my skin clear and free of spots for the first time in my life. At only £7.99 it's amazing value, and I usually buy two at a time so I know I'll never run out. I highly, highly recommend Balm Balm products. They are an amazing company with wonderful ethics and even better products. Once you use a good mineral powder foundation, it's easy to become addicted to how good it makes your skin feel. This one from Inika is easily a rival for the more conventional Bare Minerals Foundation. It has excellent coverage but is very light, feeling like a second skin yet still covering up redness and uneven skin tone. I apply this with a medium powder brush, and it gives an airbrushed finish with a healthy, natural glow. It doesn't mattify my skin as it's not a pressed powder, and instead softens my skin, looking better than a liquid foundation does on photographs. Made without bismuth oxychloride, it's a genius blend of mineral pigments with the added benefit of SPF 15. Inika are another brand who have incredible ethics, whilst also making amazing organic make up that rivals that of conventional cosmetics companies. I am a huge fan of Balm Balm products but so far I have not tried anything from Inika. What about you? Do you like these brands or are they on your wish list? Haha balm balm balm! I haven't tried the frankincense one but I like the rose/geranium one! I've used a Inika lip whip which is nice! Great post! 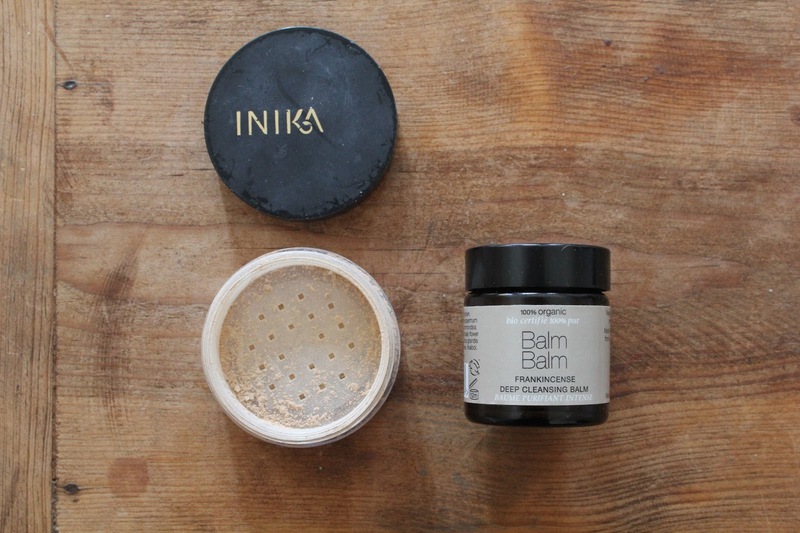 I really want to try the INIKA Mineral Powder once I finish up my current foundation. Both of these products look lovely. I've tried INIKA products in the past and have been really happy with them!